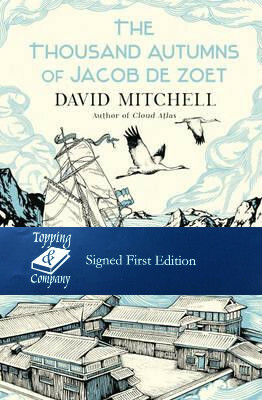 The Thousand Autumns of Jacob de Zoet is the kind of book that comes along once in a decade – enthralling in its storytelling, imagination and scope. Set at a turning point in history on a tiny island attached to mainland Japan. David Mitchell’s tale of power, passion and integrity transports us to a world that is at once exotic and familiar: an extraordinary place and an era when news from abroad took months to arrive, yet when people behaved as they always do – loving, lusting and yearning, cheating, fighting and killing. Bringing to vivid life a tectonic shift between East and West, The Thousand Autumns of Jacob de Zoet is dramatic, funny, heartbreaking, enlightening and thought-provoking. Reading it is an unforgettable experience.